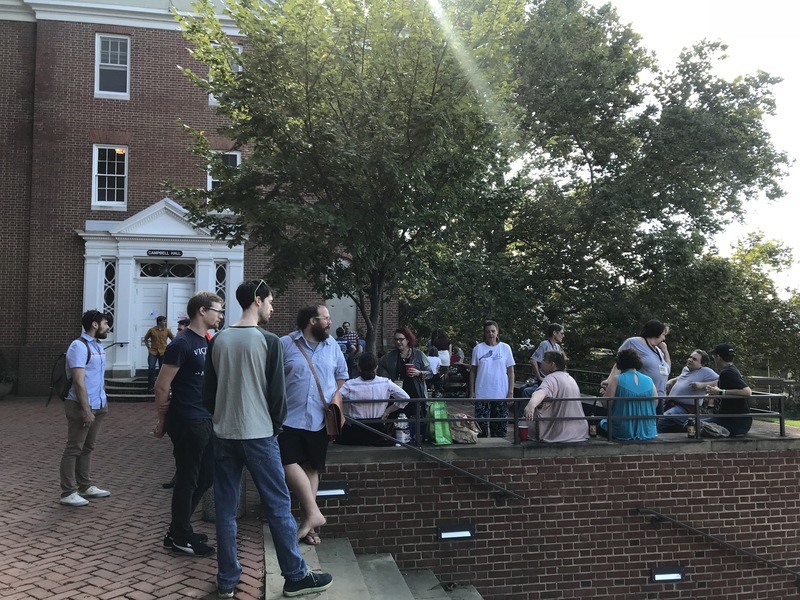 Students, faculty, staff, and of course, alumni celebrated Homecoming this year on both campuses, Santa Fe, NM (September 14-16) and Annapolis, MD (September 28-30). It was a time of networking, TedTalk-like presentations, sharing meals and memories, reconnecting, as well as a time of making new relationships and most of all of strengthening the fabric of our Johnnie community. Homilia, the Greek word meaning community, a gathering, a coming together, was the theme for this year’s homecoming. Over 300 alumni gathered on each campus for a weekend of seminars, volunteer trainings, dinner, and parties. On each campus I worked with the alumni office and admissions to offer volunteer training so that alumni can learn how to cover college nights and what updates there may be in our admissions and financial aid processes. I love working directly with alumni volunteers who are interested in giving back to the college and who want to help us find more future Johnnies! In this picture are three of my great alumni volunteers! 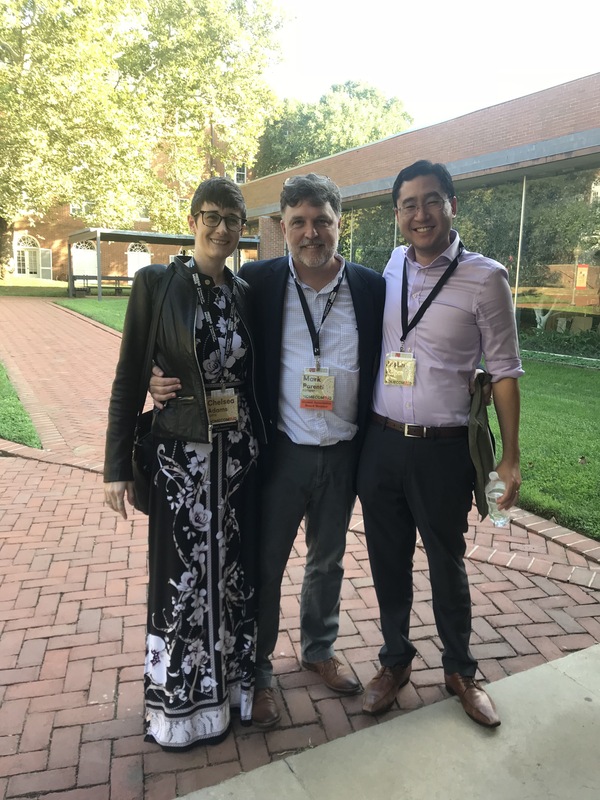 Chelsea Adams (full-stack developer and tech entrepreneur) is covering college fairs for us in the Baltimore area; Mark Parenti (lawyer) is covering several fairs for us in Houston, TX; and on the far right, Justin Lee (also a lawyer), is our newest volunteer! He will be covering two college fairs for us in Hawaii. Seeing so many generations of Johnnies all gathered together, talking across the decades, exchanging internship possibilities, career mentoring tips, and reveling in a shared appreciation of books and conversation inspired me deeply. 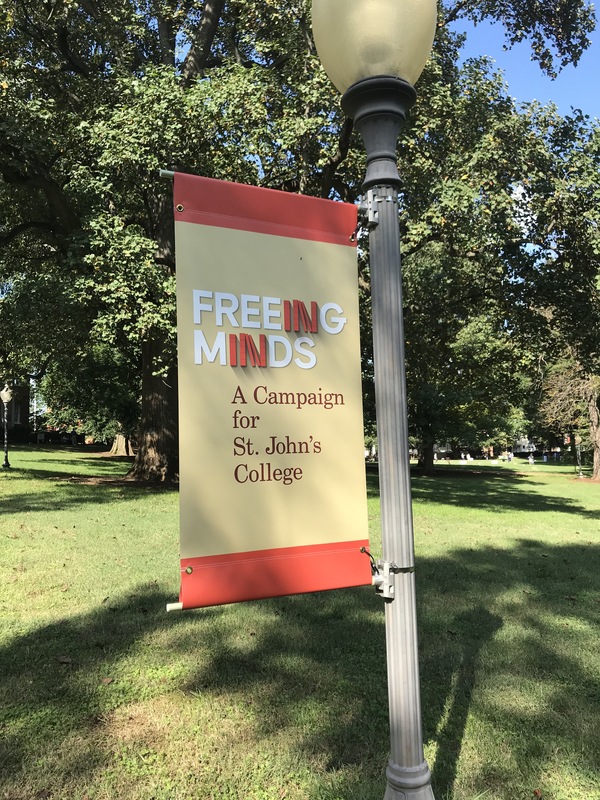 These weekend gatherings were also a time to celebrate our new, lower tuition of $35,000 which was made possible by an overwhelmingly successful start to our capital campaign, Freeing Minds. We believe that the path forward, globally speaking, cannot happen without humans who are free from bias and prejudice. We believe that a truly great education should free one’s mind from the effects of sensationalism and fear mongering. For your own moment of inspiration, watch some of these videos from our students and alumni. Previous Post Insight into the annual conference in the most rewarding profession.